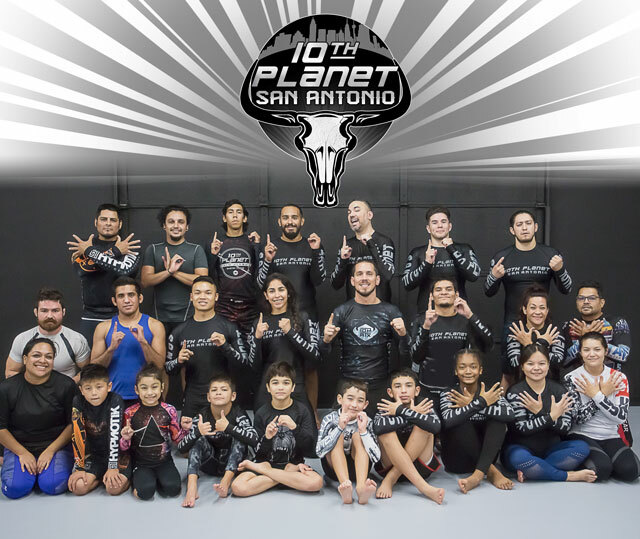 Founded by 10th Planet Austin Texas Black Belt Curtis Hembroff and lead by rubber guardspecialist Head Coach Ant Lopez. This 10th Planet Moon is located on the outskirts of North San Antonio in Universal City. We are dedicated in training our students to be the absolutely best they can be in competitive Jiu Jitsu. We welcome students of any rank and age! Head Coach Ant Lopez is a Black belt under Derek Stewart of 10th Planet Omaha and Master Eddie Bravo. Ant has been training for over 10 years in the 10th Planet system and grew up on the competition mats. Ant Lopez has taken home wins at the highest level competitions such as IBJJF, Onnit Invitational, NAGA, ADCC Trials, and Submission Challenge. Ant has moved down to San Antonio to train the next generation of San Antonio savages! 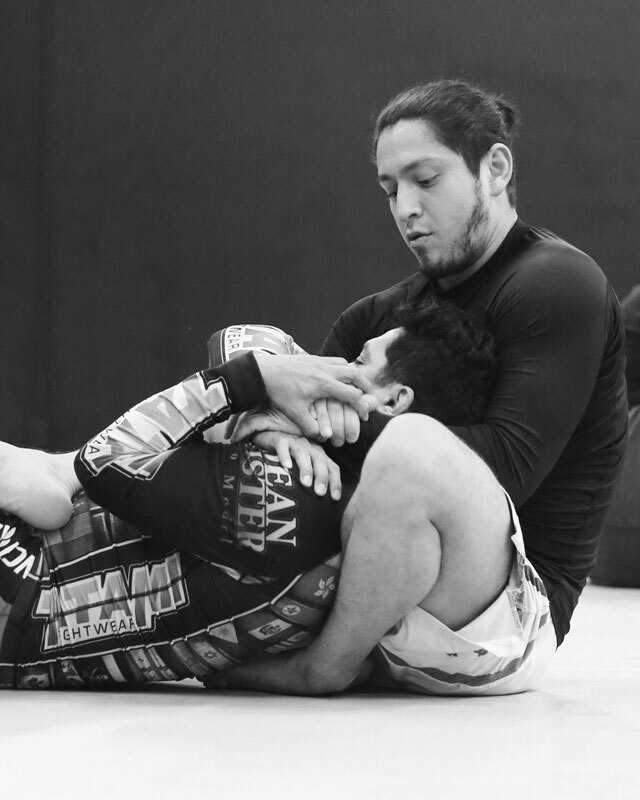 Sergio started Brazilian Jiu Jitsu in October of 2014 and entered his first competition the same month. 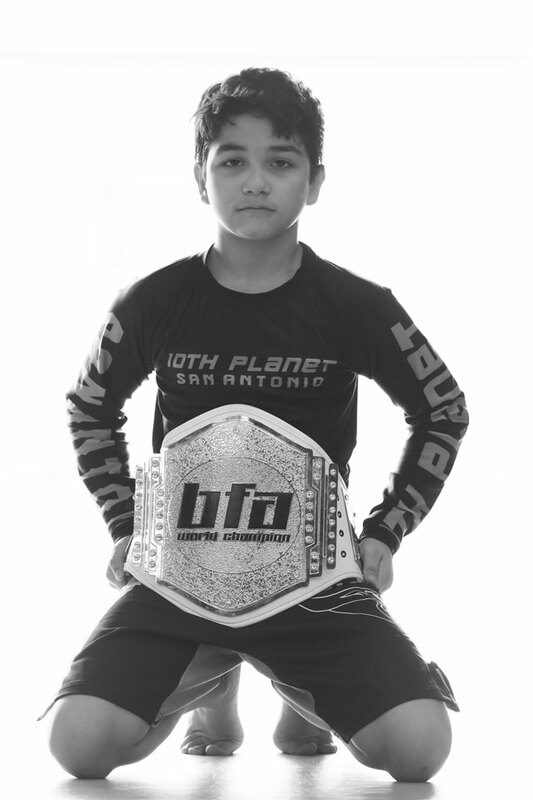 He has been competing ever since and has won over 180 medals and 16 Championship belts in over 100 BJJ events all over Texas and the surrounding states. Sergio started training at 10th Planet over 2 years ago and has trained under 10th Planet Black Belt Curtis Hembroff and Brown belt Anthony Lopez. His is a 4 time Battle of the Ages Champion and 3 time JiuJitsu Kumite 80 pound Champion. 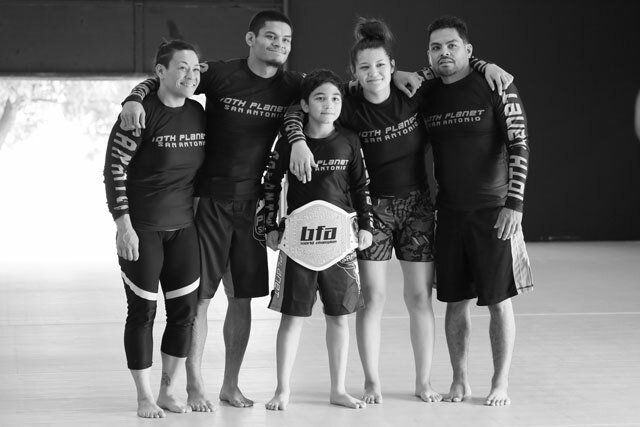 In addition to Ant Lopez, the rest of the family consists of Coach Lon Lopez (10P brown belt), Coach Michelle Lopez (10P purple belt) and Lea Lopez. Their martial arts journey began in the early 2000ís under 4th Dan and 10th Planet black belt Derek Stewart. Now with over a decade of training in the 10P system, the Lopez family made the move from Omaha to join 10PSA. They can be found on the mats training, coaching, and competing. Their experiences while on their jiu jitsu journey together has cultivated their passion for family jiu jitsu. Consistency, health, love, and family jiu jitsu serve as the pillars of their philosophy. Come join the Lopezís and the 10PSA family on the mats today! 10th Planet Blue belt under Professor Curtis Hembroff. His martial arts and fitness journey started at an early age. Roman found his first 10P home at 10PATX developing a strong knowledge of the 10th Planet system. With motivation, dedication, and honor, he is humbled to share his strength and conditioning experience and assistance with Professor Ant Lopez. Join him on the mat with the 10PSA family and crew.